Here you can find links to other websites, either as a spring board into the wonderful world of Harry Potter or as a portal into the world of spiritual discovery. Have we missed your website or would like to suggest a website? Let us know. They are beloved by millions of children and adults alike, but the Harry Potter series has attracted widespread censure from fundamentalist Christians who claim the books encourage witchcraft.Theologian Rev Dr Stephen Holmes has claimed Harry Potter should be seen as a "Christ-like" figure because he promotes Biblical values. Harry Potter may seem like an unlikely read for a Benedictine monk, but Father Luke Bell has turned his attention to the young wizard to write a book of his own. Iranian state television has come to the conclusion that Harry Potter is a Zionist plot. 'Harry Potter' news: Connie Neal (finally) offers a Christian defense of Dumbledore and the 'fact' that he's gay. By Jeffrey Weiss, Religion Blog, Dallas News. One source I tried to find [...] was Connie Neal, a conservative Christian author who had been one of the first to publicly defend the Potter books against attacks by some conservative Christian groups. She declined to comment then. But in my e-box today comes her interesting and reasoned response. She wrote it last year, hoping to add it to the now-available revised version of her book "The Gospel According to Harry Potter." But it did not make the cut. So she kindly decided to send it to us today. Most people agree that the wildly popular Harry Potter series has a religious following. But do the stories about a fictional boy wizard contain religion in them? While many readers and fans of the Harry Potter novels have long delved into the deeper meaning and context of the books in broader relation to other subjects, it would seem college universities in the US are now following suit. 'They almost epitomize the whole series,' she says of the scripture Harry reads in Godric's Hollow. Fr Aguilar, who teaches philosophy at Regina Apostolorum University in Rome, offers a few clarifications and distinctions that might help the reader form a better criterion for judging the Potter phenomenon and its predictable consequences. By Jerry Bowyer: "From the very beginning, I've believed that Hogwarts is the literary representation of the Christian Church." By Peter T. Chattaway. YOU EXPECT many things when you read a new Harry Potter novel: magic, humour, a set of mysteries, a looming battle between good and evil, even some clunky exposition. But you don't necessarily expect to see quotes from Christian scripture. And yet, there they are. Last month Kendra Nolde, pastor at the Gethsemane Lutheran church in south St. Louis, took the pulpit and began to speak to her congregation about the final Potter book, Harry Potter and the Deathly Hallows. However, instead of following the lead of many of her peers and warning her parishioners about the evils of witchcraft and paganism inherent in the mega-bestsellers, she began pitching ideas for a slogan that would grace the church’s sign on the corner of Hampton and Pernod. Rowling to cast her magic on Greek hero Orpheus? A school in the eastern German city of Chemnitz has taken the Harry Potter books off its syllabus, after Christian parents objected on religious grounds. The Vatican's chief exorcist has condemned J. K. Rowling's fictional boy wizard as downright evil. Harry Potter would "not be regarded as pagan worship" by Maimonides, according to an Israeli research team. N.B. The owners of this website do not necessarily endorse or agree with the views expressed by these contributors, nor do the latter necessarily agree with or endorse the views of the owners of this website. John Granger's weblog explores the meaning of Harry Potter. A blog by Janet Batchler, much of it about Harry Potter. A blog (mainly Harry Potter) by Linda McCabe. A blog relating to the book Harry Potter and Torah by Dov Krulwich. By Constance Droganes. An article exploring why Harry Potter becomes increasingly dark, and quoting academics who explain why the dark themes are necessary in describing the battle of good versus evil. What do Jesus and Harry Potter have in common? A blog: "A Christian's look into Harry Potter and the virtues found in them." A Harry Potter blog by Kjetil Kringlebotten. A Theosophical article by John Algeo, V.P. of the Int. T. S.
by Bishop Auxentios of Photiki, Published by the Orthodox Christian Information Center, October 2003. Summary of round table held at the 4th Conference of Evil and Human Wickedness in Prague 2003, by Andrew Blake, Margarita Carretero-Gonzalez and Carlos F. Marquez-Linares. This website is dedicated to helping parents and traditional Christians make well informed decisions reguarding the Harry Potter series. A blog about Harry Potter and the Narnia series by Shawn Barber. The Book of Harry: How the boy wizard won over religious critics -- and the deeper meaning theologians now see in his tale. This article offers an excellent summary of the development of changing religious views in the U.S. This is a reply from a Jesuit to the above article by Michael Paulson. David's Question "What is Man?" A Harry Potter Villain Beat His 'Dark Mark.' So Can We. An essay on the chakras in Harry Potter by Cindy Jepson. Catholic Priest Abraham Arganiosa of the Philippines writes in support of Harry Potter. Using Jungian and Freudian psychology to explain Harry Potter. Professional Harry watchers on whether J.K. Rowling's hero is meant to resemble Christ, by Beliefnet.com. At the end of December, the pastor of a New Mexico church declared that Harry Potter is the devil, by Feòrag NicBhrìde. Author Linda Harvey, who wrote "Not My Child: Contemporary Paganism and New Spirituality" is interviewed on the inroads the Harry Potter series has made by interesting children in the occult arts. by Philip Carr-Gomm & Richard Heygate. 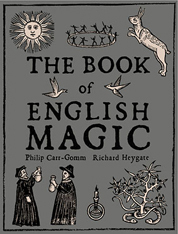 The Book of English Magic is a 562 page hardback book which will be published by John Murray on 11th June 2009. One of the people discussed in this book is John Dee, whose name is hidden in Harry Potter and the Order of the Phoenix. This article gives a brief overview of the alchemical symbolism of birds in alchemy (e.g. Phoenix). Tolkien created a world in which hope, the ultimate Christian virtue, is woven into the fundamental nature of reality. In doing so, Tolkien, like Lewis and Rowling, offers his young readers "a pre-baptism of the child's imagination." See For Seekers section for more spiritual and philosophical articles. A group of people putting the unselfish teachings in Harry Potter into practice. Sirius was the star of the resurrection to the ancient Egyptians. We know that when Harry is born, Sirius is made his God-Father. Sirius becomes Harry's example, his mentor and his guide. See Sirius in our Symbology section.